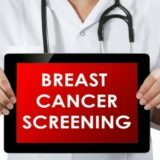 Life expectancy and survival is the first concern of every breast cancer patient and his family. This invasive disease even at early stages leaves the patients with lots of worries as there is no promised outcome of treatment. 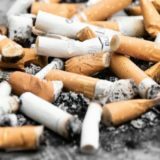 The life expectancy varies according to the age, health condition, and cancer type. In addition, the lower stages tend to have more survival chances than the higher ones. But unfortunately, when the tumor becomes malignant, you can’t really say how much time has the patient left. Before going toward, the life expectancy, it is crucial understand the concept of “5 Years survival rate”. According to the definition: Percentage of people who live at least 5 years after diagnosing of cancer. These relative survival rates are a more precise way to calculate survival. For example, women with breast cancer to women as percentage of overall population. 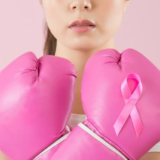 Breast cancer is evident, however, is restricted to the area where the development of first abnormal cell started developing. An efficient treatment for this stage is possible. This stage is also highly treatable which requires conventional surgery, radiation, sometimes both, however, it is non-invasive. 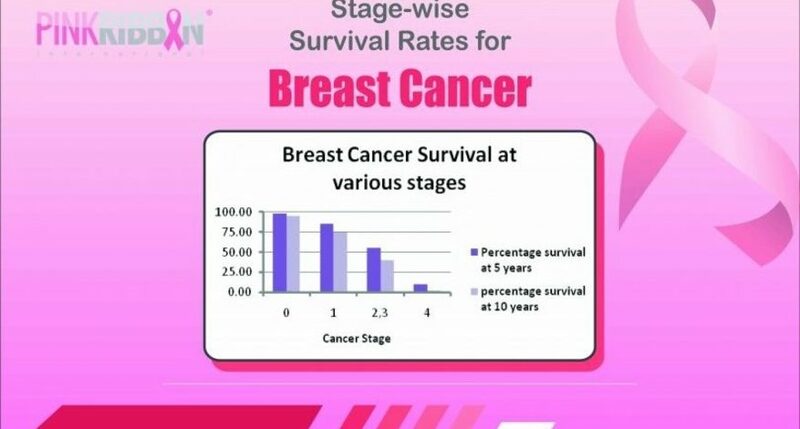 The survival rate is from 90%–100% after stage 0 and 1. At this stage, the breast cancer is growing however it is still restricted to breast or nearby lymph nodes. There is no practical tumor-associated or more than four auxiliary lymph nodes having cancer. The treatment of stage 2 requires more aggressive measures however patient responds well to the treatment. The life expectancy of 5 years’ survival rate after stage 2 is 93%. With the 5 years’ life expectancy declining to 73%, stage 3 breast cancer extends to the region beyond tumor invading the nearby lymph nodes. However, it has not advanced, distant organs making up for effective treatment options. Stage 4 or Metastatic breast cancer means that cancer has spread to distant sites beyond the origin area. In stage 4 breast cancer has spread to other areas of the body such brain, bones, lung, and heart. 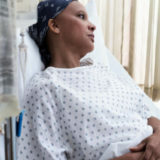 According to reports, at diagnosis stage, only 5% of the cases have stage 4 cancer. While percentage of diagnosis at earlier stages is 95%. 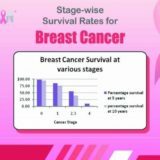 Unfortunately, the life expectancy after the 4th stage of breast cancer is only 22%. Phase 4 is incurable, however with great care support, and motivation one’s life can be extended for several years.